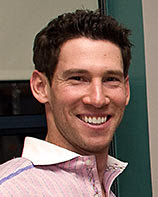 Founded in 2008 by MLB pitcher Craig Breslow, the tenets of the Strike 3 Foundation had been in place for some time. At age 14, Craig’s sister was diagnosed with thyroid cancer. More than fifteen years later, she lives an unrestricted life as a cancer survivor. Unequivocally, this success story is attributed to advancements in pediatric oncology treatment and research funded largely through generous donations and charitable efforts. 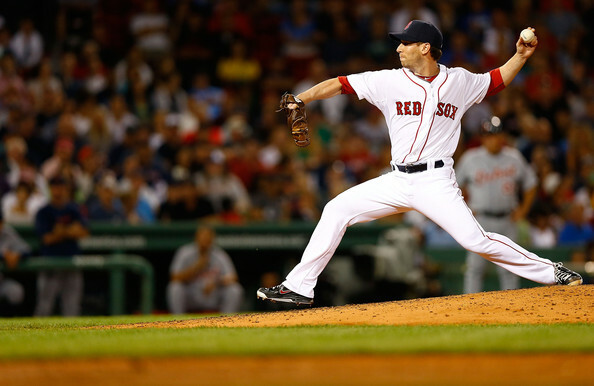 After growing up in nearby Trumbull, Connecticut, Craig Breslow graduated from Yale University in 2002, and in 2005 became the first Bulldog to reach the Major Leagues since Ron Darling. He has pitched for the Padres, Twins, Athletics, Diamondbacks, and, currently, the Red Sox. A molecular biophysics and biochemistry major, Breslow earned All-Ivy honors in a junior season that included a 16-strikeout performance vs. Cornell and a one-hit shutout at Harvard. Craig was named captain of the 2002 squad. Craig is a 1998 graduate of Trumbull High School, and his hobbies include golf, reading, and crossword puzzles. I grew up in Connecticut before graduating from Yale University. When I earned my degree in Molecular Biophysics and Biochemistry I intended to pursue a career in medicine. My plans to become a physician were delayed when I was drafted by the Milwaukee Brewers in 2002. In 2005, I made my Major League debut as a member of the San Diego Padres. I later moved on to the Boston Red Sox organization and was a member of the 2007 World Series Championship team. After stints with the Cleveland Indians and Minnesota Twins, Oakland Athletics, and Arizona Diamondbacks, I am currently pitching for the Boston Red Sox. Maintaining close ties to the community in which I was raised, I return to Connecticut each off season. When the impulse to give back became overwhelming so too did the impetus. I recalled with a familiarity all too real, the morbidity that permeated our house when my sister was diagnosed with thyroid cancer. But I remember with even more vivid clarity the euphoric response to the declaration of her being cancer free after treatment. The visionary in me sees the day when all cancers are eradicated. The realist understands that the first steps toward this feat are to heighten awareness, raise support, and encourage cancer research. To that end, I am excited by the prospects that our partnership with some local cancer treatment centers offers. United in our goal, we hope together to hasten the arrival of the day when no child with cancer goes uncured. Let us begin today and continue working to establish a strong financial foundation. The Strike 3 Foundation values every contribution and pledges to maximize the impact of each gift. On behalf of every child with cancer, cancer survivor, and their families, we offer our deepest gratitude for your generosity.